So it’s the end of September, a date that we, Solar SOAS, have had tattooed onto the backs of our minds since our solar tariff pre-registration confirmation came through. 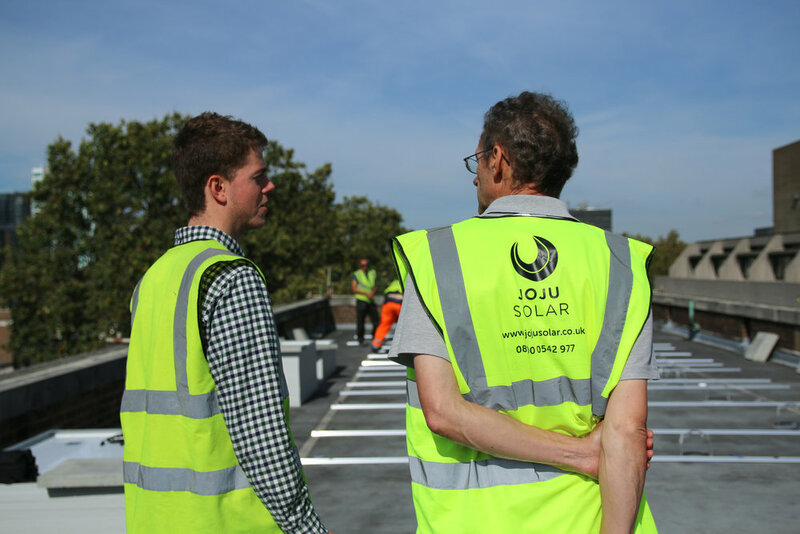 Any hope of the financial viability of setting up solar panels on SOAS’ only currently available roof was riding on the old government Feed-in tariff rates to subsidise the cost, an option that was swiftly repealed under the current enviro-phobic government. Luckily we were (just) able to get in an application to secure those higher rates for our project, but with it came a hard deadline. And here it is: the last possible date to have everything installed, otherwise the old Feed-in tariff would be snatched out of our hands just as it has been for all projects after ours. Up until this point, it all seemed practically impossible - complicated bureaucracy, finite time and resources, endless back and forths with an ever-expanding list of middle parties. Solar companies, lawyers, project managers, advisors, the crowdfund platform...the list goes on. As the days slipped on by, the end of September edging closer, our application to get Listed Building Consent seemed to lie dormant in the Camden Council planning office. When we submitted, a mere 8 weeks before the dreaded deadline, we were reminded repeatedly that this was a high order to make, and that it was highly unlikely to be looked at in time, let alone granted. This was the backdrop against which we had to work to raise funds (which included sourcing a total of a ~mere~ £40,000), legally secure the lease of the roofs, confirm details with the solar installers, and make sure all parties were happy. Quite frankly, I thought it would take a small miracle to actually get this off the ground. I was already planning my spiel for future job applications: ‘on the whole it was a rewarding experience, and even though our efforts of 2 years ultimately came to nothing, we all learnt valuable lessons’. But everyone pulled together, and with the help of many members from within SOAS and a good measure of luck, managed the unthinkable. On this day, 30th of September, I sit in the computer lab in the basement of SOAS, knowing that 5 floors above me is the capacity to harness the energy of the SUN!! 29.6 kilowatts of energy at peak capacity, to be exact. So this is a legacy that we will leave behind, and for that I am hugely proud and honoured. There are still some loose ends to tie up, such as the long-term governance of what is set to be a 20 year endeavour, how to best use the yearly £2000 community fund, and what the future of the student society and Community Benefit Society looks like. But these are details. The exciting fact is that we, a bunch of idealistic students up against the current political climate, did it! We are generating. We are live. We are nature defending itself - and this is just the beginning. Solar SOAS is looking for new members to get involved in the exciting next chapter of our journey - please contact us at solar@soas.ac.uk to find out more! 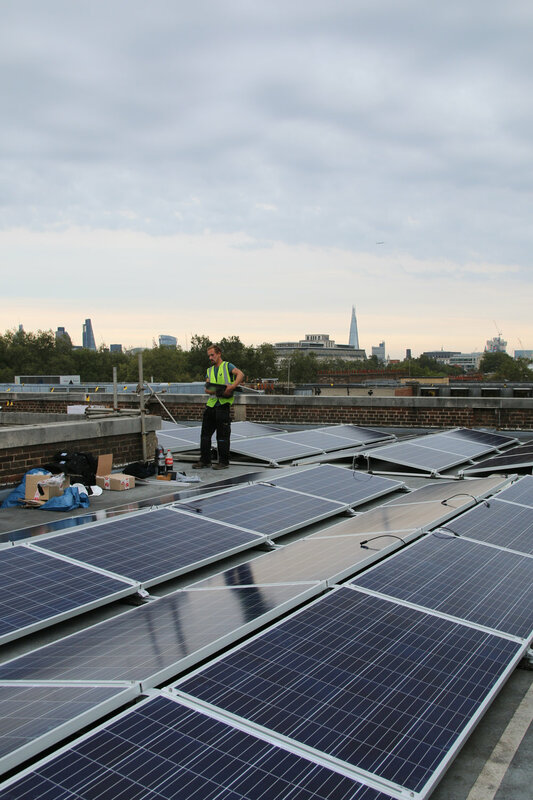 Older PostSolar SOAS launches Crowdfunding for UK's first University community energy project!